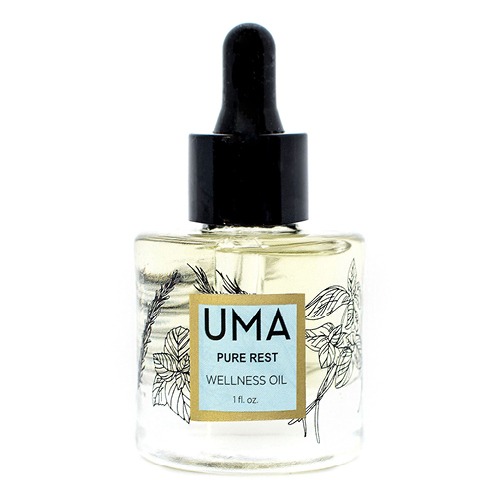 Pure Rest Wellness Oil by UMA Oils powerfully and naturally relieves feelings of nighttime restlessness. Created for those looking to thoroughly unwind at bedtime, without causing dependence or side effects. Since it's organic and single estate grown, distilled and bottled in India, you receive a powerful and concentrated blend that lends a supportive sensation to day to night transition and a feeling of restfulness for a full night’s sleep. Massage 4-5 drops between your toes, on the bottom of your feet, pulse points, temples or behind the ears. For the ultimate experience, apply the oil to all areas. Then, inhale deeply from your hands to enjoy the aromatic experience. Works wonderfully with aromatherapy diffusers, or, added to bath water.